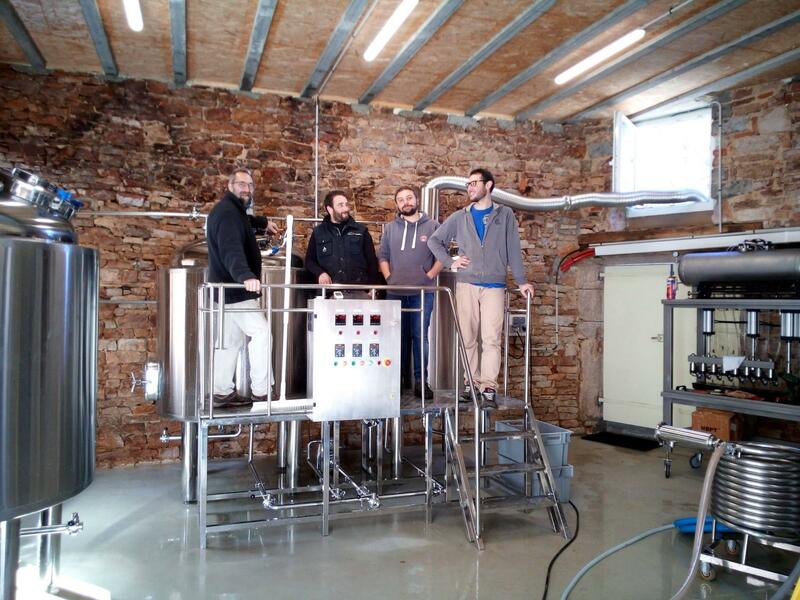 Brewery equipment in France - Jinan Rainbow Machinery Co., Ltd. The customer just finished the installation and have brewed beer for 4 times until now. The second picture, we were loading the equipments into container.